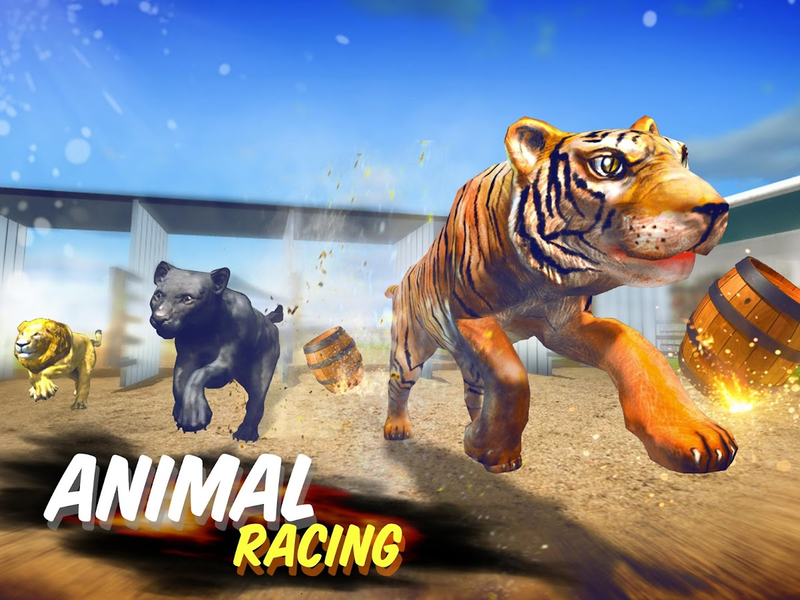 The Animal Racing are Wild Animals Race in fast track orcoolgame.You might have played many games of animals racing likelionracing or wolf racing or tiger racing and many more. 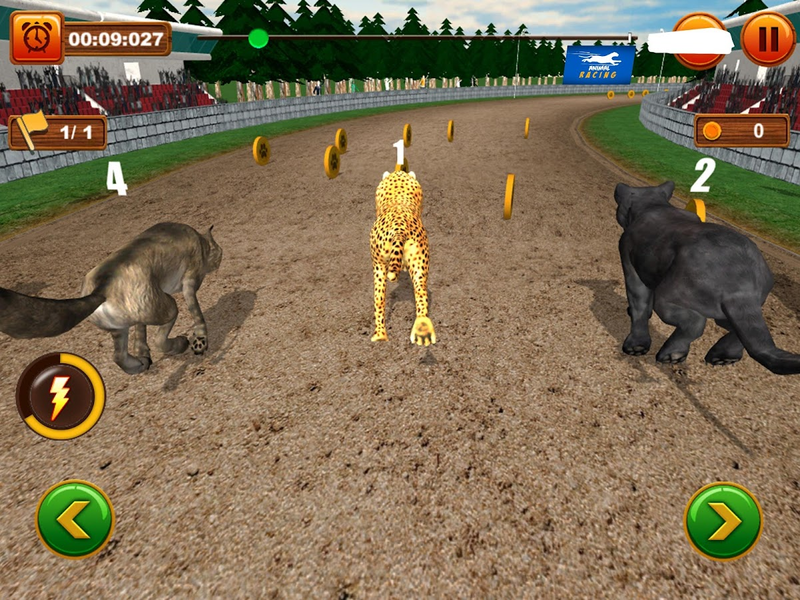 But haveyouever thought of playing a game of trained wild animals racing?Weare presenting Animal Racing to entertain you with anentiredifferent experience of Animal Racing Game.Play this one ofthebest wild animal race game. 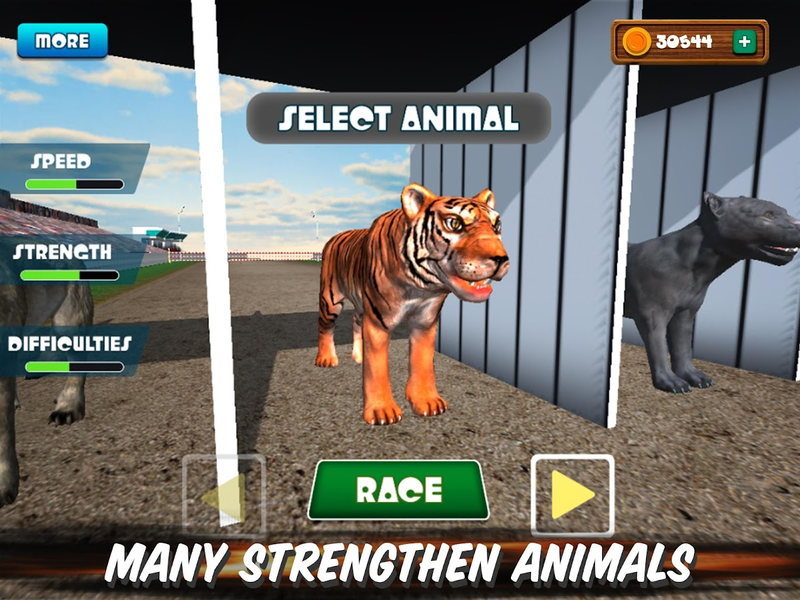 Let’s race animal, increase yourspeedand win the challenge. 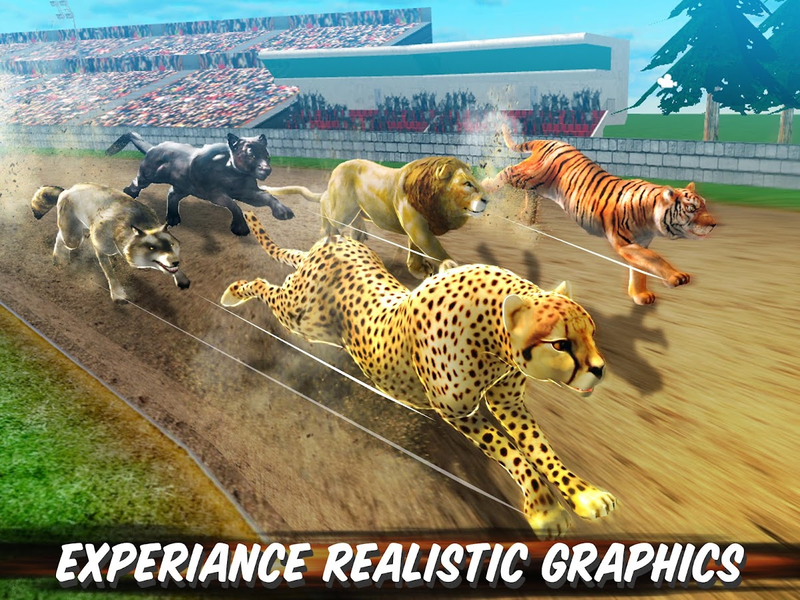 This game is going to test your skills.Showsome extreme skills to run fast into the race in the crazywildanimal racing battle game.Features:--- Realistic racingtracks.--Multiple levels.-- Challenge Laps.-- Easy and smoothcontrol.--Realistic 3d graphics.-- Challenging and thrillingmissions.--Amazing background sound effects. Your fans are calling out for destruction andyou’re going to make sure they get it! Get behind the wheel of oneof 8+ monster trucks and put it to its limits to destroy everythingin sight.———————— A MONSTER GAME ——————Drive 8+ different monster trucks including the legendary Bigfootthrough drag races that test your handling and freestyle raceswhere destruction and stunts wow the crowds.————— REALISTIC TRUCKIN, REALISTIC DESTRUCTION ——————Play around with truck physics that cause trucks to bounce, drift,and tire slip realistically. Smash through cars to see the dynamicdamage system in action and impressive graphics.Features:- Incredible off road vehicles- Gorgeous graphics- Real-time vehicle deformation- Precise physics simulation- Excellent visuals and a head-banging soundtrack- Retina display support for iPad and iPhone!- iPhone5 4-inch retina support- Exclusive iPhone5 ultra graphics detail- Share then Friends on Facebook and Twitter. Fruit Link Saga! is a match-3 puzzle game with fresh gameplay!Clear three or more same fruits to score points, try to usegame props to make more combos!Fruit Link Saga! features:- 3D Gamemodes - Puzzle,Challenge- More than 500 puzzle levels & manygame props.- The Fire props can eliminate fruits in one row.- TheWater props can eliminate the fruits around.- The Ice props canunfreeze the frozen fruits.- Sweet and delicious graphic and coolanimation effects.How to play:1. Connect three or more same fruitsto score points.2. Archive the target points to level up.3.Eliminate the more fruits quickly can get extra scores.So join it,match 3 or more fruits in this puzzle of lines! Take on the Grand Theft Car ParkingTestChallenge! 100% FREE! Enter the Advanced Drivers Competitionandprove your Driving Skills to the crowd in a variety ofExcitingEvents using Parking event types!Grand Theft Car Parking Are Fun Parking & Racing Game.Real moving traffic to avoid and FUN cars to drive.Carefully negotiate the turns in the Luxury sedan Car.This game has beautiful locations and tracks that will testyourdriving skills of a Car.~~~~ Key Features ~~~~~• Realistic handling Car, available in 10+ different modes• Different kind of Level• Simple User Interface• Extreme precision driving and sound simulations• Challenging and outstanding 3D outdoor environment withstunninggraphics• More than levels (new updates)• Stunning 3D Graphics• Different kind of Level• Drive in dangerous and unexplored locations!• Surprising on track power boost !• Endless game play - Endless Fun• 100% Free! Extreme Hill Racing driving challenge is here! Are you READY?Getready for the uphill battle! Drive speedily through rocky hills andmountains and become an extreme truck driver!It is a real test ofyour driving skills! Here is your chance to drive fully loaded megatransport trucks and climb dangerous hills!Here we are with ourbrand new game Extreme Hill Climb RacingDo you love Hill , mountainclimb racing games? If so, this will be the perfect game foryou!Extreme Hill Climb Racing is a totally free hill, mountainoff-road game, with 10 mountains levels to beat. Can you make it tothe finish point?Features of Extreme Hill Racing• Various hillyterrains to enjoy• Extreme driving challenges and fun missions•Impeccable 3D graphics and mountainous environment• Extreme HillClimb Racing Game provided in Best 3d game • Very dangerous hilland mountains and dirty tracks to beat!• Powerful turbo engine inyour car!• Excellent sound effects and engine sounds!• Realisticcar physics engine to control your car!• Realistic Hill andmountain 3d models• Lots of fun and excitement!Race İt... Go….